Business groups want the FCC to limit the rates large carriers can charge. The U.S. Federal Communications Commission will take steps to restore competition in the market for broadband services used by businesses, potentially saving them billions in costs. For years, groups have called on the FCC to cap the rates charged by Verizon and AT&T, the two carriers that dominate the market. 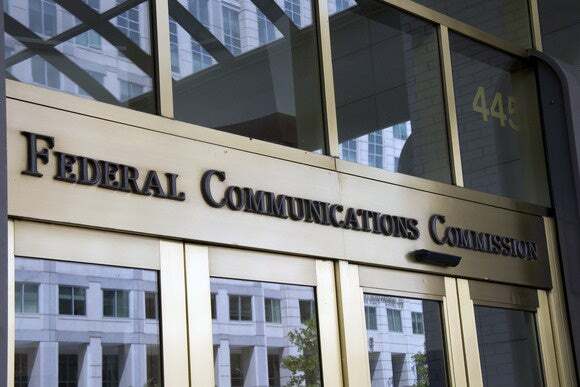 At a meeting on April 28, the FCC will consider an order that looks at the charges for dedicated connections paid by offices, retailers, banks, schools, hospitals and other types of customer, FCC Chairman Tom Wheeler said. For more than a decade, critics of Verizon and AT&T have pushed the FCC to address these so-called "middle-mile" data connections, which link ATMs, credit-card scanners, mobile towers and many office broadband networks. "If we want to maximize the benefits of business data services for U.S. consumers and businesses, we need a fresh start," Wheeler wrote in a blog post Friday. Less than 5 percent of business broadband locations nationwide have more than two carriers offering services, according to FCC figures. Wheeler will propose new regulations for business broadband, often called special access services, to encourage competition. "Government must ensure that non-competitive markets don’t harm consumers and businesses or stifle innovation," he said. "I propose to identify those markets that are competitive, and those that are not, and to adopt a tailored regulatory framework to mirror those distinctions." Earlier this week, the Consumer Federation of America released a study estimating that the incumbent carriers have overcharged businesses by US$75 billion for broadband services over the past five years. The problem affects consumers as well, because businesses often pass on the extra costs, said Mark Cooper, director of research at the consumer group. Verizon and AT&T dispute the figures. The special access services, based largely on copper-wire networks, are becoming less important in the broadband market overall, they say. The broadband market has "changed dramatically" in the past decade, said Kathleen Grillo, Verizon's deputy general counsel for public policy and government affairs. "Customers have moved past legacy services and are choosing better, faster services like Ethernet," she said in a statement. Verizon is encouraged that Wheeler's plan would "rely on competition, rather than regulation, whenever possible," she added. Part of the problem is that competitors to the large carriers are not building out their networks, added USTelecom, a trade group representing the large carriers. "The failure of some competitors to invest and build facilities to connect their business customers to nearby fiber ... is a business decision not a market failure," the trade group wrote in a blog post. Several companies and advocacy groups praised Wheeler's move. "No American business large or small, in services or manufacturing, should be held hostage to unfairly high rates for critical data transport simply because there is no competitive alternative and only crippled regulation," Ed Black, president and CEO of the Computer and Communications Industry Association, a tech trade group, said in a statement.